The Philippine Stock Exchange index has been falling, losing 2.5 percent already from last week to close at 8,144 on Friday. While the trend may be seasonal, the current level may be good time to start buying promising stocks for next year. If you are just starting to invest or planning to invest, let these common investment blunders remind you that hefty amounts of money can be lost you aren’t careful. Investing in products you do not understand. If you cannot explain the investment product properly to a peer, chances are you do not understand it, and if you cannot understand it no matter how many times it is explained to you, you’re better off walking away. Education puts you half way to victory. Investing borrowed money that carries high interest. “Can I take out a loan and invest the proceeds in the stock market or pooled funds?” is one of the most common questions I get from people who desperately want to invest. They think that borrowing money and investing it in stocks will yield positive results. Not necessarily. Remember that investments offer no guarantee of earning more than what is needed to pay the loan. Investing while carrying huge credit card debts. One of the best investment strategies you can embrace is that of first paying off what you owe. There’s no sense in earning 20 percent on an investment if your credit card debt imposes as much as 42 percent interest annually. You might think you’re actually saving but the truth is you’re losing a lot more in delaying full payment of your debt. Putting all your eggs in a single basket. A more prudent approach in investing is diversification. It simply means spreading and managing risk by dividing funds among securities of different industries or asset classes. This way, your portfolio won’t be significantly affected if one company or industry where you are invested in falls apart. Proper diversification offers you a solid defense in varying market conditions. Chasing profits. Every investor’s goal is to earn money yet sometimes people try to buy and chase investments that are past their momentum stages. When more and more people talk about how hot a particular stock is, chances are it will be overbought and overvalued. Ignoring investment risks. Every investment carries a degree of risk. There’s no such thing as risk-free when it comes to investments. People sometimes fear that once they get to know the risk associated with their investment, this will prevent them from deciding. This can lead to financial disaster. Putting your money in wrong investment instruments. If you’re aiming for capital appreciation and are still stuck with time deposits or SDAs, your investment strategy is bound for failure. While these products offer safety, they cannot provide the capital growth you’re aiming for because of their tax consequences and interest gains that are lower than the inflation rate. If your investment goal is for the short term and wanting to protect capital, the stock market might not be the place for you because of price fluctuations and volatility. The reason why financial planners insist on starting an investment journey with the end in mind is to make sure that the products that you choose are aligned with your goals. People are unique and so are their investment goals, so a good investment instrument for one might not be good for another. 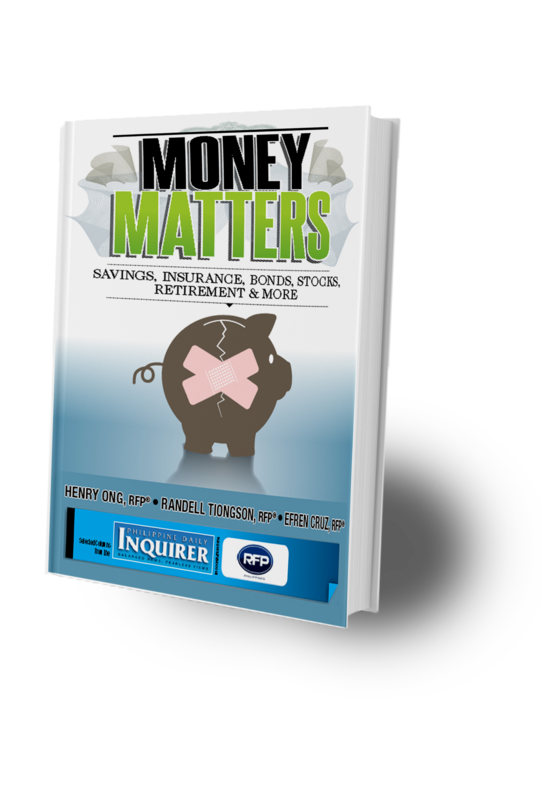 Jesi Bondoc is a Registered Financial Planner of RFP Philippines. To learn more about financial planning and how to become an RFP, attend the 67th RFP program this January 2018. To reserve, email at info@rfp.ph or text <name><e-mail> <RFP> at 0917-9689774. How To Use The Price-To-Sales Ratio To Buy Stocks? Next: Will The Stock Market Rally Before The Year Ends?